It may be chilly outside this spring, but the US economy is currently running hot. Two data releases this week indicate that the economy is hot. However, I caution that these days, hot is not what it used to be. 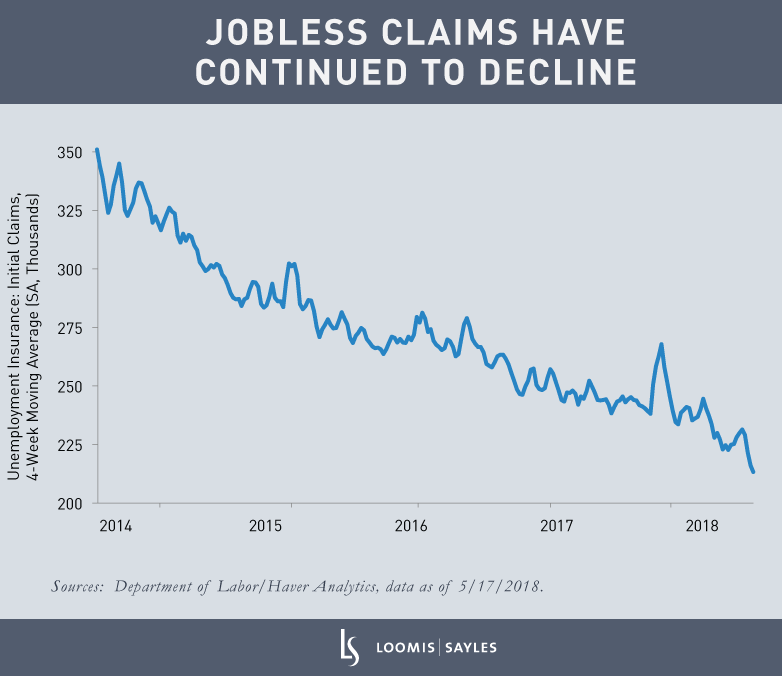 First, initial jobless claims, on a four-week moving average basis, fell from 216,000 in the first week of May to 213,250 in the second week. That is a fresh record low, post-1969. This report is the fourth consecutive week of decline. These data suggest a solid gain in payrolls for May. 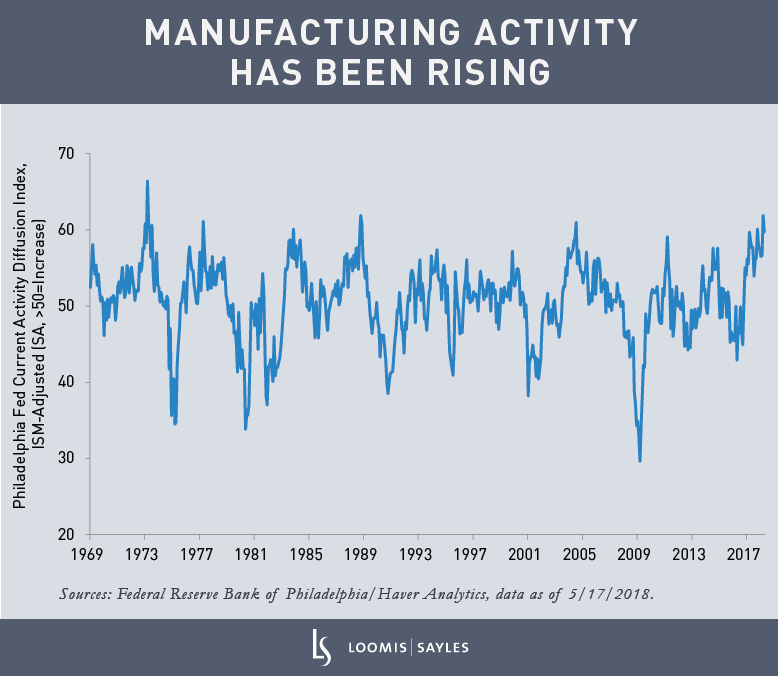 The second data release was the manufacturing survey from the Philadelphia Federal Reserve. The headline current conditions index from the survey rose to a strong +34.4 in May from +23.2 in April, above the 21.0 consensus. The headline current conditions index is based on single stand-alone questions about business conditions, unlike the ISM Manufacturing Index, which is a composite based on components. Haver Analytics creates an ISM-equivalent version of the Philadelphia survey, which rose from 59.7 in April to 61.6 in May. It has only been higher three times since 1973. In my opinion, it is an impressive performance. Manufacturing continues to expand. The labor market continues to tighten. I believe the economy is hot. Unsurprisingly, the prices components of the Philadelphia and New York Fed surveys have increased to high levels. I expect the Fed to continue to hike. This blog post is provided for informational purposes only and should not be construed as investment advice. Any opinions or forecasts contained herein reflect the subjective judgments and assumptions of the authors only and do not necessarily reflect the views of Loomis, Sayles & Company, L.P. This information is subject to change at any time without notice. 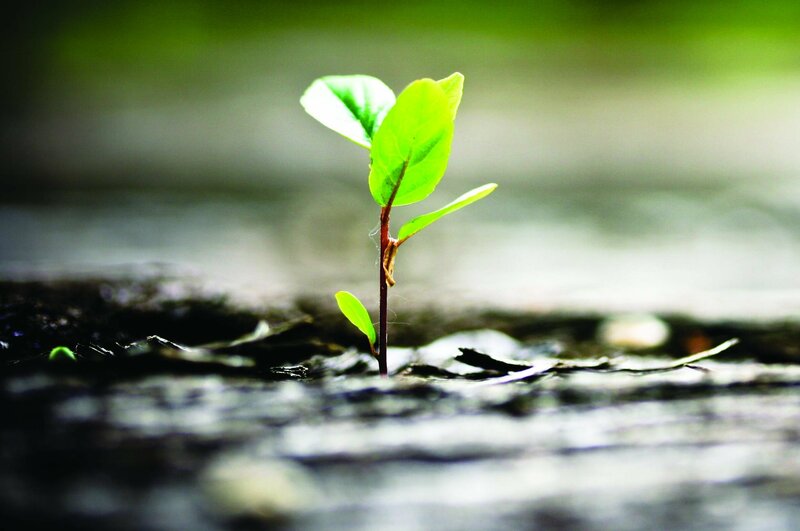 Loomis Sayles analysts are career professionals who offer deep knowledge and experience in a diversity of global asset classes and market sectors. These dedicated experts provide the insight essential to supporting our portfolio management teams across a wide range of investment strategies. ©2019 Loomis, Sayles & Company, LP. All Rights Reserved.